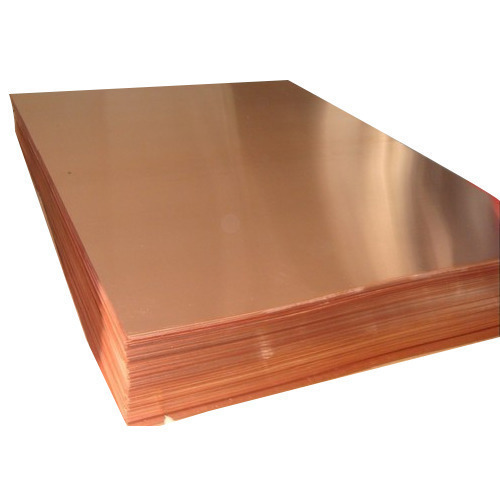 Copper Sheets, coils, foils, shims & Plates that we offer are precisely designed for perfection. These products find extensive application in various industries and have gained popularity for their excellent features. Available in various specifications in terms of size, grades and range, It is available in large sizes with us such as 4ft. x 8ft. and many more. These are available at reasonable prices. With 8 years of experience, we are able to supply high quality range of Ferrous & nonFerrous. Apart from this we also offer precision engineered products that are manufactured using ferrous and non-ferrous metal alloys. These are sourced from reliable and established vendors across the globe. Before selecting vendors, we scrutinize them on the overall performance in the area of quality, on-time delivery, price and many more. Proper evaluation to develop a quality vendor base allows us to meet exact client demands. Further, our quality analysts conduct regular checking of the stocks on various quality parameters to ensure they are in line with international standards.